You Don’t Have to Create Your Own Blog to Build a Gallery of Wild Things! We don’t do Facebook, but we travel (all over US and Canada) with access to the world-wide net. We have i-phones, but a point and shoot is what we use when paddling, hiking, stopping to enjoy the continent’s wild places and we use our laptops to post. You don’t have to start a blog: there’s a much wider audience with administration and management done by someone else. All free. If you are going to Milton, forinstance, where Blackwater River State Forest is located, you may want a preview of all the natural wild things (flora and fauna) which have been posted by some of over 416,000 observers worldwide who post on inaturalist.org. You may want to know which is considered endangered, threatened or exotic. Of those exotics, you may wish to know which are considered invasives and learn why. Or if you took photos while visiting Blackwater River State Forest and want to be able to identify a flower, or a mushroom, or a bird or salamander, just sign on to the site and post your own photo. Once you get your photo loaded as an observation, click on the first box below which identifies the plant: through photo recognition, a list of suggested species will be offered. If you click on the right side of each suggestion you will be led to a display of other photos, a map of where that species has been found, and additional information on that suggested plant. Comparing that with your photo, you can select from the suggestions. Ahhh…but it doesn’t end there. So, you’re not sure, eventually and hopefully within 24 hours (in some locales and some species you may have to wait longer), you will get someone (remember there are not quite half a million users) who will either verify your ID or say, they disgree and suggest another species name. Or they may know what the genus is, but not exact species, but they know for certainty it’s not the species you have named. Well, that’s a whole lot more certainty than when you initially posted. Eventually, if your photo(s) of that wild thing is clear and has good taxonomic detail, you’ll get a full scientific identification (genus and species) for the item you have photographed. What you post has to be wild. It can’t be continuous photos of your cat or your constant companion dog. They’re family — you can’t post family. Unless it’s a chimpanzee. You can post sounds also, but I haven’t tried that. Like the sound of a hoot-owl which you can’t see. Or a frantic hawk if you’re too near their nest, which you can’t see. inaturalist.org can be a sound translator. Raucous sounds from the campsite next to you after curfew don’t count; they have to be wild non-humans and non-domesticated animals. I’m not sure whether a cow could be posted; try it and see if you get a comment. I did get one once from someone who said I had posted the identical photo twice. I marveled that anyone had the time to review over 2,500 observations I have made. Who would want to? A few pointers: don’t use generic terms on the ID. You’ll wait and wait and wait and no one may respond to you. To get the quickest response, get at least to the genus level (see taxonomy for each suggestion offered when you post); better yet, make a wild guess and put the whole uncertain scientific name in. Someone will disagree with you and this is a great situation to be in, for you will get a proper ID faster by starting out wrong. People seem to have a trigger instinct to correct rather than affirm. Lucky for you. The posting will ask for date and location. If you have a camera with a built in GPS it’s great (smart-phones do) because if you don’t the site will ask for the location of each posting. If you have a camera with a built in date recorder, you don’t have to enter the date of the observation, either. Yes, this site is made for contemporary electronics, but you’ll see the value of those little bells and whistles in your camera soon enough. You, too, can be an identifier — to turn the tables around and identify a post from someone who wants to know if the name they have selected for the item posted is correct. You may say, “Me? I don’t know one daisy from another!” Yes, but if you know deer, or know a Florida anhole from a common house gecko, you can identify that. Or if your instincts say, “It’s not that.” But be ready with a correct ID if you disagree. Don’t worry, if you’re wrong somebody will correct you (remember there are nearly half a million users). You’ll find enough that you won’t just get PhD’s (not indicated) biologists verifying your posts — anyone can verify who feels confident to identify a particular species. And some of the best identifiers are those who have lived with these plants and animals all their lives. This is a half a million people collaborative to build an inventory of all the wild creatures and plants and everything in between. Love mushrooms? Post the lichen and mushrooms you see; there are variations of seaweed, too. Start with your backyard (ignore your dog). You can learn the names of everything which inhabits your private ecosystem! The purists among you will say of a system that considers a valid species name if two people agree to it, preposterous! No credentials needed, just two people. It could be your child, who is at an age when everything you say is right, or your mother, who does the same. Neither of which knows a lily from an iris. OK…it’s going on strictly collaborative, faith in the statistics of well meaning and honestly-seeking-the-right-name-people to affirm an identification. But think about it — if you had to wait for the few real experts you’ll never get a large data base with over 14 million observations affirmed. There is always a margin of error in any statistical set of data anyway — let the researchers worry about the methodologies; just post. And…if you are absolutely sure you have the right ID and you’re getting the “I disagree…it is this species.” There is a comment box which you can use to bring the naysayers to the right ID. This is particularly true if posted an endemic species, one that has only been observed in a particular area and through the scientific filtering is found to be a different species. Any area has some endemic species: we have the cowcreek spider lily which is found only in Wakulla and Franklin counties. There is a endemic species of mussel, Ochlockonee Moccasin Shell mussel, which can be found below the dam on Lake Talquin and just recently at the mouth of the Upper Ochlockonee where it empties into Lake Talquin. This is where this posting gets fun. Stand your ground!!!! I post because I want my observations to mean something, not just an ephermal look-see on a blog site, but adding to hundreds of others who are creating a huge data base. One University of Florida researcher, tasked with the job of determining which native flowers are visited by which butterflies, found inaturalist.org postings a gold mine of information. He didn’t have to hire a gaggle of undergraduates to go looking for them –and they wouldn’t have gone into the wilds of Tate’s Hell State Forest looking for them either. Are you skeptical about whether a species is threatened or endangered? Well, if you see one, photo it and post. This data base allowed, in Canada, the Alberta Invasive Species Council to spot where invasive species were being photographed (remember the GPS location?). It allows one to track endangered and threatened species. You can restrict GPS information to only the curators of the site, if you’re afraid that plant robbers will confiscate the plants or go hunting for a truly endangered mammal. But for researchers this is important information: other species than us also migrate and enough postings can track these migrations. I posted a dying moth in front of a post office and the identifier noted that this was the first documented photo of the species being in this area. That was exciting! Many interesting encounters may await you — who thought adventures could be yours personally just from your smart phone? Try it…you’ll get more than just perfunctory “neat”, “pretty”, “wow” comments. You’ll get an ID or “I disagree with a suggestive ID”. If you’re lucky, and that’ll happen as you post more and more, you’ll get an expert explain to you using vocabulary you never saw why the species is what that expert thinks it is. You’ll have experts disagreeing whether one ID was correct or whether another may be more suitable. And you started that whole dialogue!!! When you see how serious and thoughtful some of the ID’ers are, you’ll appreciate that your efforts are seriously being noted. You are part of the group of citizen-scientists whose efforts will form essential data bases for understanding the world around us — not human, and not your dogs and cats. And if your spouse or other or parent or children consider your penchant to photograph wild things, just tell them you’re practicing your civic responsibility by documenting what is around you: that’s what citizen scientist means. It’s not a gratuitous phrase. Not if you share it on a site which is gathering data for future scientists to use. And you know: for those who are still looking for a compatible companion, you may find one on this site, although this is not the intent. Go on web fungi seeking adventures together and who knows where that’ll take you. 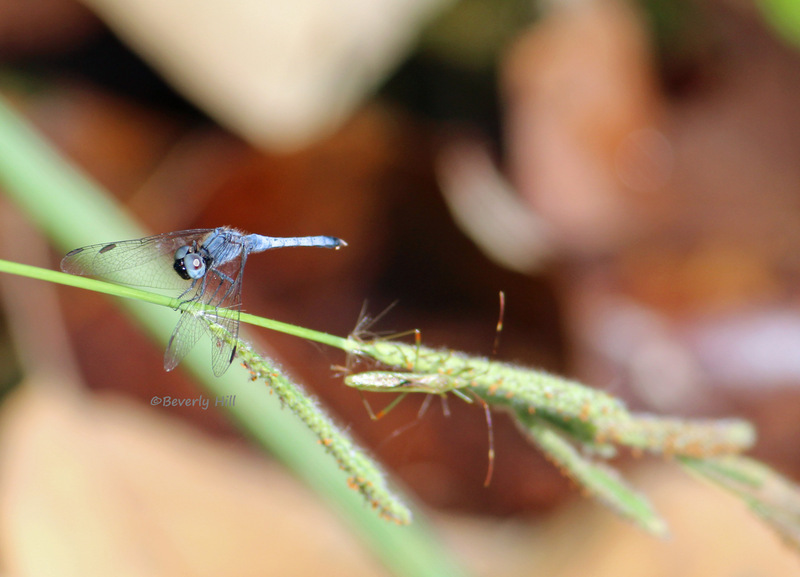 This entry was posted in Blackwater River State Forest, Tate's Hell State Forest, Uncategorized and tagged Nature photographs on November 13, 2018 by marylynanded. As a local who appreciates the outdoors, natural areas such as Blackwater River State Forest are a welcome diversion from modern life. A peaceful hike along a trail or a laid back float trip down one of the rivers that run through it settles the mind into a quiet state of reflection. As the human experience slows, the mind opens to notice more: a green lynx spider with a bee in its web, a white-tailed deer track, an endangered pitcher plant. Even with a natural eye, on a field trip to Blackwater River State Forest with the Florida Master Naturalist program, I was able to come to appreciate even more about what we have right here in the Florida panhandle. As we walked through the thigh-high wiregrass surrounded by pine trees and sparkleberry bushes, our group came to stop under a tall pine speciman and learned that it was a long leaf pine, a species of pine that inhabits less than 6% of its original range due to exploitation by the logging industry in the early 1900’s and from attacks by the southern pine beetle. It is the key tree species in a complex of fire dependent ecosystems in the southeastern United States and plays a vital role in the survival of numerous species of wildlife, such as the endangered red cockaded woodpecker. 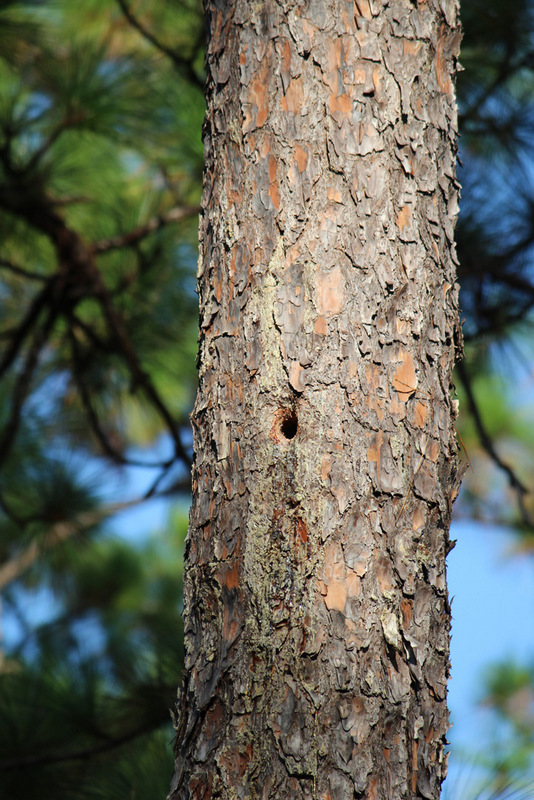 The red cockaded woodpecker only makes its cavity nest in old-growth long leaf pines that are at least 80-100 years old. Our guide, who works extensively with the red cockaded woodpecker, set up a long pole with a video camera on the end and guided it up the tree to a small, nearly imperceptible hole. Our group crowded around to get a glimpse of the woodpeckers, but instead got to see a southern flying squirrel who had taken up residence in the cavity, proving once again that a seemingly simple thing like a tree can help many things. 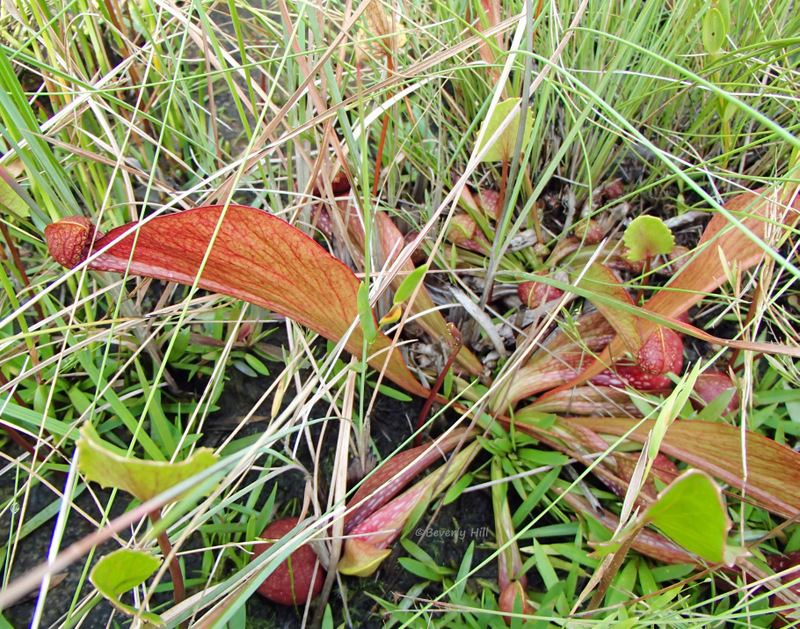 We moved on from the tree and carefully explored a small pitcher plant bog at the bottom of the slope where I was able to spot a small collection of white-top and parrot pitcher plants, as well as several small sundews. The pitcher plant population in the United States is less than 3% of its original size due to habitat loss, a fact that wasn’t lost on me as I watched an impossibly tiny frog hop beneath a blade of grass in search of food. The more we looked, the more interesting things we found: wildflowers, dragon flies, archaeological remnants from the turpentine era. 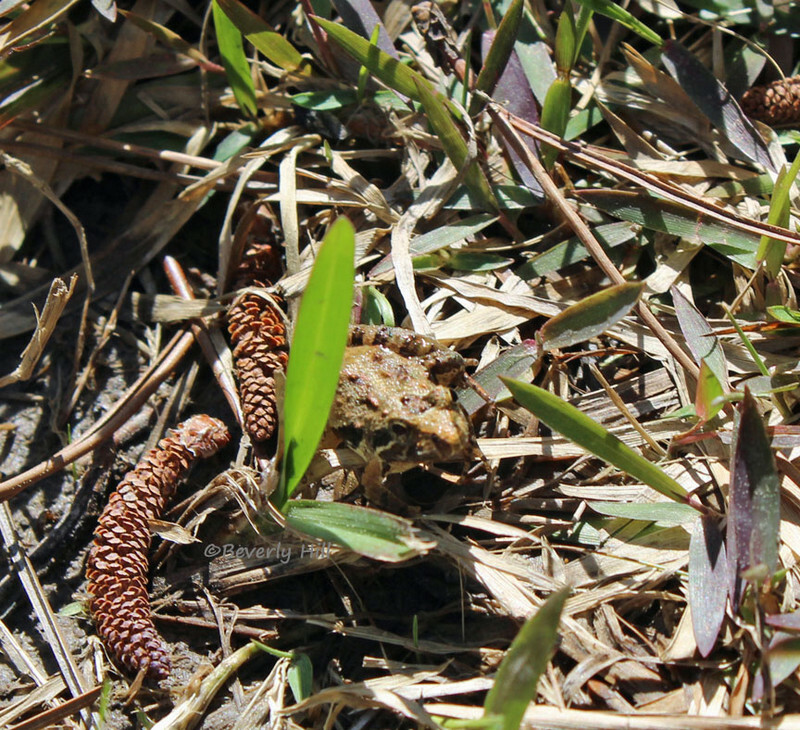 We loaded back into the vehicles and headed to an ephemeral pond which is an area that has both wet and dry periods throughout the year and is important for breeding amphibians. Although dry at the time of our visit, we were once again treated to the sight of unique plants and flowers that grow only in these temporary wetlands. Almost as temporary as our afternoon outing that was winding down. Although not my first visit to Blackwater River State Forest, it was one that provided greater insights about the importance of protecting our natural areas, both for ourselves and our environment. Now, whenever I return, I will walk the trails and float the rivers with hopes of seeing even more hidden treasures. Beverly Hill’s website: http://www.northwestfloridaoutdooradventure.com gives photos and information of other Northwest Florida outdoor venues. This entry was posted in Blackwater River State Forest, Florida native wildflowers and tagged Blackwater River State Forest, Florida native wildflowers on April 5, 2018 by marylynanded. The following photos were sent by Hilda Goodson of Blackwater River State Forest. The 2018 Florida Paddler’s Rendezvous is being held here on October 25-28. 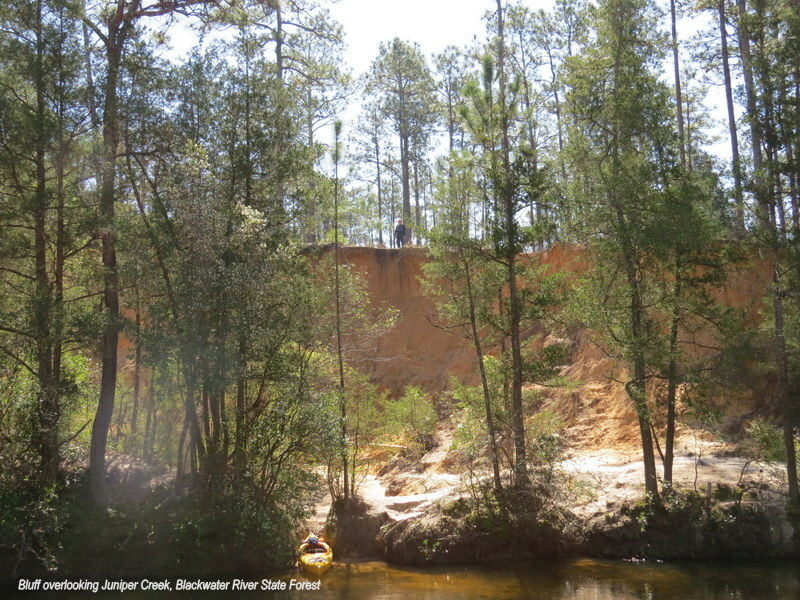 This entry was posted in Blackwater River State Forest, Paddling North Florida and tagged Blackwater River State Forest, Blackwater River State Forest Paddling on April 2, 2018 by marylynanded. 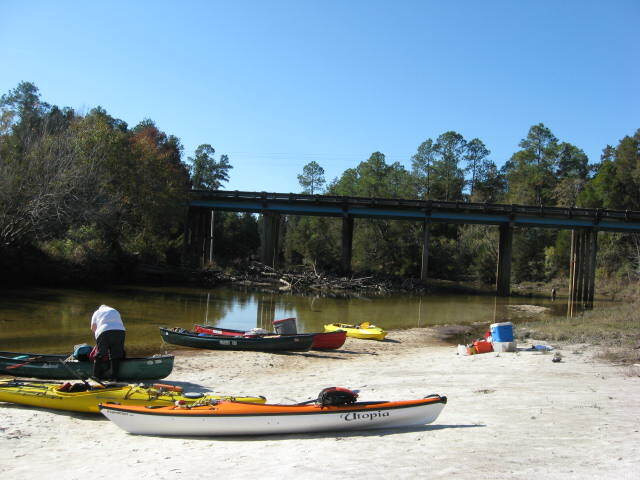 Blackwater River, shown in above photo, is one of the rivers offered for paddling at the Florida Paddler’s Rendezvous, October 24-28, 2018. Main rendezvous headquarters will be at the Bear Lake Campground. For information contact wfckcrendezvous2018@yahoo.com. 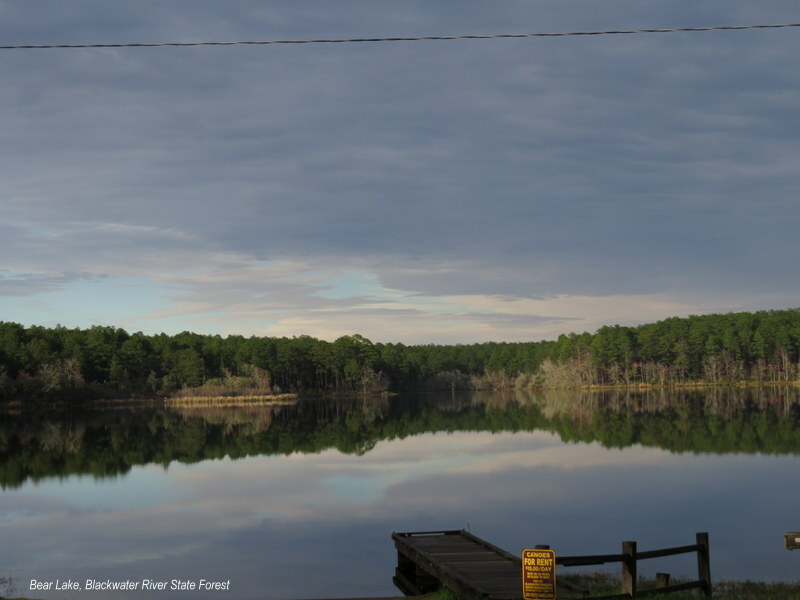 This entry was posted in Blackwater River State Forest, Blackwater River State Forest Paddling, Camping, Uncategorized and tagged Blackwater River paddling, Blackwater River State Forest on January 31, 2018 by marylynanded. I read the article and can explain a little of the background. As you all likely know, the Blackwater River State Forest has ~220,000 acres of land that is managed by the state foresters in several counties. 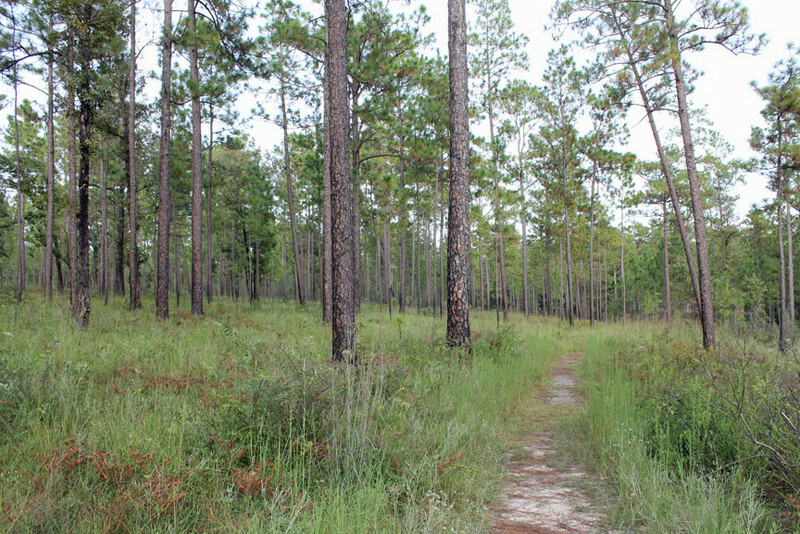 This is a working forest, meaning that when trees are cut, the proceeds to back into the [Florida state’s] general fund. Ideally, the money generated from the forest would stay in the forest, but the system is not designed that way. 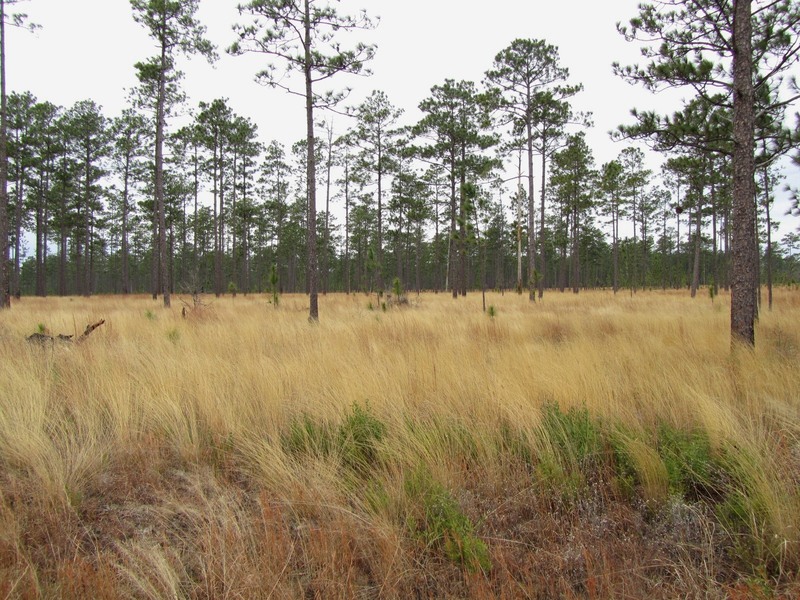 Trees are cut for thinning or to replant other pine stands with Longleaf. One of the big issues facing the forest are people making their own trails (usually to a creek or to dump trash). Over the years, the FWC has taken on the responsibility of ticketing folks on ATVs and motorcycles that are on ‘un-designated’ roads. Turns out that folks who purchase ATVs and off road bikes pay a ‘special tax’ to have lands that set aside where they can ride. For many years, ticketed folks were complaining about not having any ‘legal’ locations where to ride. The nearest OHV park was in Tallahassee, followed by Orlando. The Blackwater Forest managers have some unique challenges. Horse folks don’t want to bump into hunters, hikers don’t want to hike near roads, birders don’t want to overlap with folks who could spook birds, paddlers and campers don’t want to be buzzed by military air craft. Mountain bikers don’t want to have horses on their trails because it messes with the hard pack ground, etc. No one wants to bump into hunters: dog hunters: bow hunters: etc. So, to address these specific user groups — thE Forest folks have delineated certain areas for certain activities. The property set aside for the OHV Park was actually a newly acquired parcel of the 640 acres in 2005-6 which was far away from the other user groups and low lying areas. This property had not been managed with fire, and so was overgrown and close to the end of Whiting Field’s northern air strip. The state purchased this land for this purpose (to have a location where OHV could recreate w/o ‘disturbing’ other user groups). The parcel experiences a lot of air traffic (noise), due to the nearby field, so it is ideally suited for a noisy recreational park. In addition, the chance of accident & injury from such activities increases — so the site is easily accessible by ambulance & air craft if needed. Until I worked with The Nature Conservancy and heard all the stories that land managers were faced with, I had never given these issues a second thought. Think about Gulf Islands National Seashore and the challenges they have of ‘herding’ 2-3 million people through their lands — and leaving only their footprints behind. The forest has in-holdings, meaning private landowners who live in parcels throughout the forest. Places like Gulf Islands are one complete parcel w/o any in-holdings. Personally, I think the foresters that oversee the Blackwater are doing a really good job on a shoe string budget, with a Governor who is not the lease bit interested in protecting our resources. In today’s PNJ [Pensacola News Journal], a small article mentions how he is in CA trying to ‘steal’ business by saying we have little regulation … that captures it perfectly. Please let me know if I can help clarify anything. 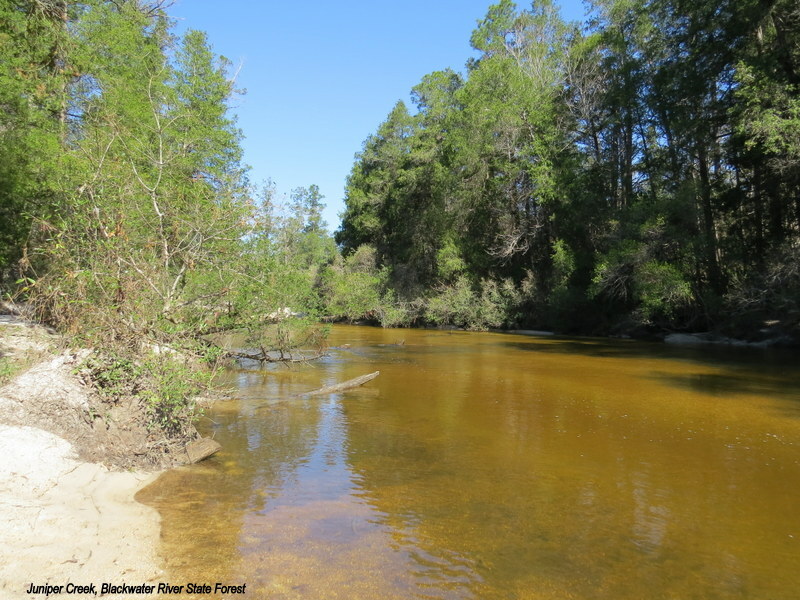 This entry was posted in Blackwater River State Forest and tagged Blackwater River State Forest on April 15, 2015 by marylynanded. From the Pensacola News Journal, April 14, 2015. “Sprawled across more than 300 acres in the Blackwater River state Forest in Milton is a network of 27 miles of winding trails, groomed and ready to ride — the only facility of its kind in Northwest Florida. “Off-road enthusiasts of all skill levels can finally enjoy the recently-opened Clear Creek Off-Highway Vehicle Trails near Whiting Field Naval Air Station, a project more than a decade in the making. “Experienced riders can challenge themselves on narrow, switchback paths through the woods, but newbies need not be discouraged — off-road motorists as young as five years old have already tackled the beginner-friendly tracks and youth training area at Clear Creek. “The faciity fills a long-awaited desire in the area for a safe, legal place to ride OHV’s, said Wayne Briske, an avid rider who has been part of the efforts to make the trails a reality since about 2004. 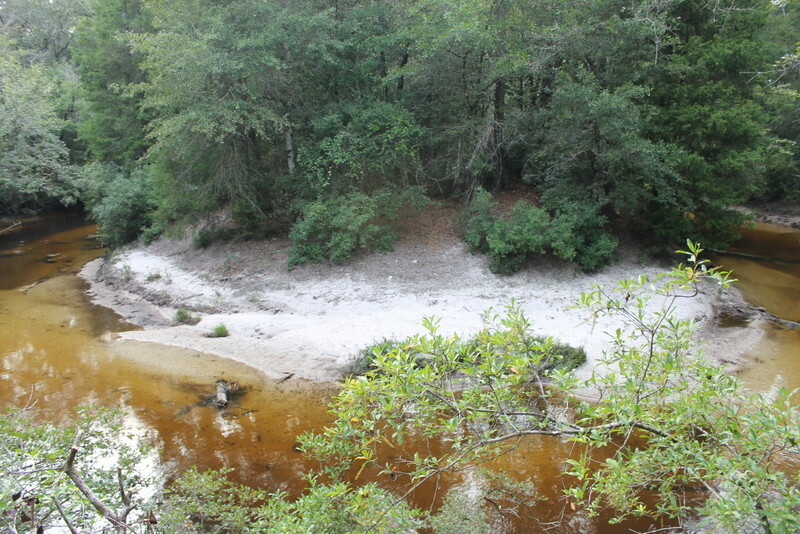 “Clear Creek was the result of a joint efforts between the local OHV clubs, the Florida Forest Service, the Nature Conservancy, United States Navy and the Santa Rosa County Commission, Briske said, with dozens of meetings and thousands of hours of volunteer work. “All of the trails were cut by volunteers as part of our motorcycle and TV clubs here locally, so there was a lot of local manpower that actually went into cutting the trails, Briske said. “The facility ws funded through OHV title fees, along with about a $300,000 grant from the Federal Highway Administration’s Recreational Trails Program and donations from Yamaha and Polaris. 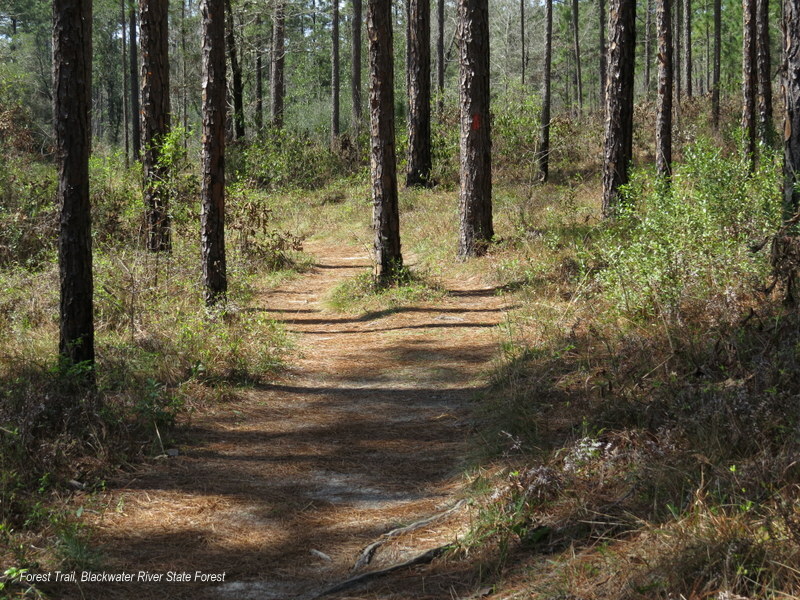 “Located adjacent to Whiting Field, the trails also helped further the county, state and Navy’s partnership to buffer land around the base and prevent unsuitable development, said David Creamer, recreation administrator for the Blackwater river State Forest with the Florida Forest Service. “It preserves the abiity to have some more open areas around Whiting Field to prevent encroachment,” Creamer said. “Only about half of the state’s 640 acre property is being used for the trails, Creamer said, which may be expanded in the future as funding is available. “There are other places people can ride dirt tracks and things like that, but as far as riding in the woods, this is kind of a unique experience, ” he said. “Though the state owns the land, the park and its restrooms and concessions are operated by Coastal Concessions, which also manages outpost stores at Fort Pickens along with the Navarre Beach Pier and its gift shop and restaurant. “A safe environment of off-roaders of all ages is the top priority at the park, which prohibits alcohol and requires riders to wear helmets, said Coastal Concessions General Manager Stephanie Maddox. The company also plans to bring annual passes in the future to make the facility more affordable for frequent users.